I just returned from two incredible weeks in Turkey! I’m still processing the experience and my impressions of the country. But on a more practical matter, I’ve only just started looking at my 1300 photographs! 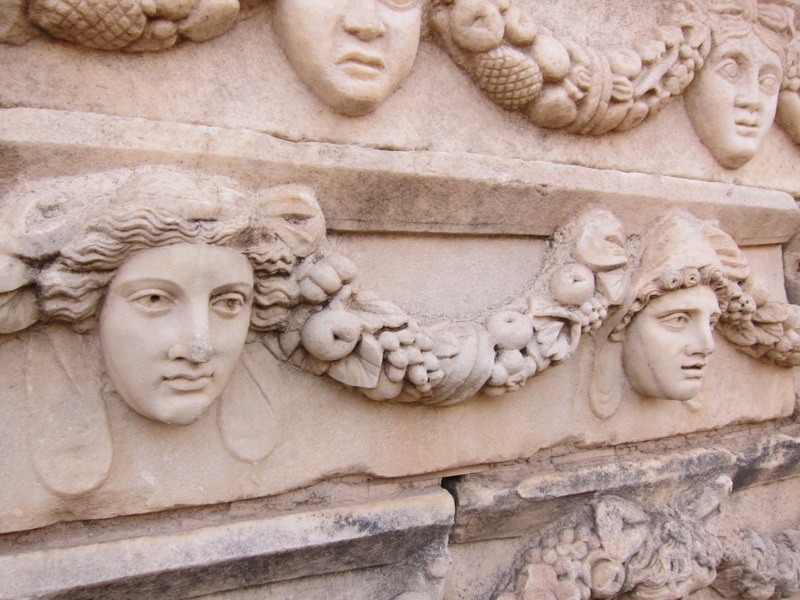 I’ll start with a detail from the Agora at Aphrodisias. The ancient Roman market there was encircled with this Theater Frieze depicting known mythological characters and dramatic masks linked with a floral and fruit garland. The blocks are stacked near the entrance to the site forming a wall of quirky and unique faces. Aphrodisias itself was one of the most impressive archaeological sites I have ever seen and we had it almost completely to ourselves.